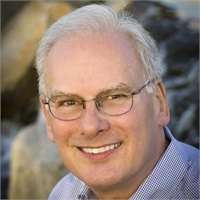 Steve Moeller is the founder and president of American Business Visions, a publishing and consulting company specializing in the wealth management industry. He has entertained audiences from Halifax to Sydney and from New York to Los Angeles. For more than two decades, he has coached investment advisors to build client-centered firms that add value in unique and meaningful ways. He teaches deep listening skills and an understanding of universal human needs and wants. An expert in business development and quality of life, Steve has invested the last decade in researching the emerging field of positive psychology, including positive emotions, peak performance, optimum health, and life satisfaction. His latest book, Endorphinomics: The Science of Human Flourishing, is about money, happiness, and quality of life.